The Last Year of the Luftwaffe is the classic story of a once all-conquering force struggling to stave off an inevitable and total defeat. This superbly written book gives a complete account of Luftwaffe operations during the last twelve months of the fighting in Europe – including the dramatic Bodenplatte (or ‘Baseplate’) offensive over the Ardennes in December 1944. In this comprehensive examination of Hitler’s air force, Dr Alfred Price examines its state from May 1944 to May 1945, analyzing not only the forces available to it, but also the likely potential, and impact, of new aircraft and weapons systems. He also assesses the Luftwaffe’s High Command’s performance and the effect of Allied attacks and operations. In doing so he rejects a number of long-standing myths, clarifies the impact of the jet and rocket fighters, and demonstrates that the Luftwaffe performed as well as could be expected under the harsh circumstances of fighting a losing war. 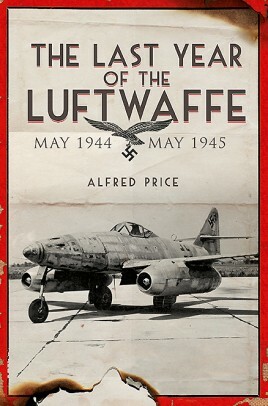 Dr Alfred Price, FRHist, has published nearly fifty books on aviation subjects, including Battle of Britain Day, The Last Year of the Luftwaffe, War in the Fourth Dimension, Target Berlin and Targeting the Reich.